So today it is ANZAC Day in Australia. A special day celebrated on the 25th April each year and this year marks 100 years since the landing in Gallipoli, Turkey. After attending a dawn service, I thought it would be an event appropriate bake today to make ANZAC slice! 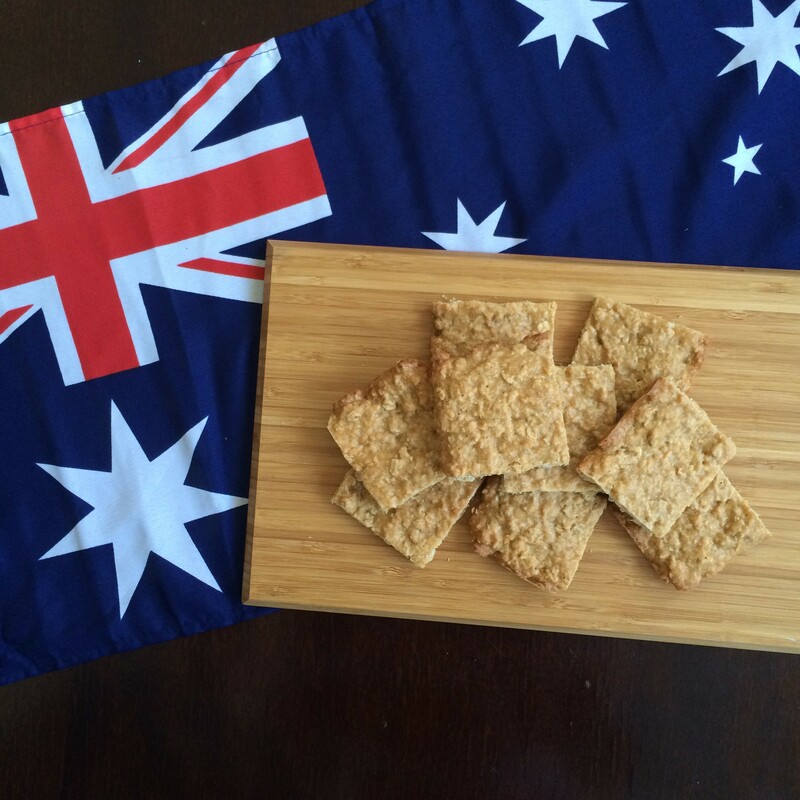 A modern twist on the traditional ANZAC biscuit! Here is what I came up with! 2. Melt olive spread in the microwave. Mix in the maple syrup, water and baking powder. 3. Mix all of the other dry ingredients in a bowl. Add the liquid and mix together until well combined.